Even if you're not in the mobile space, own an app or have a cool idea for one, your business needs to go mobile right now in order to thrive not just survive. If your business doesn't have a mobile presence where your customers are spending most of their time, then you’re at a disadvantage when compared to your competitors who are going mobile. Luckily for you, in order to go mobile you don’t need to hire a full-fledge development team, a mobile marketing strategist, or even come up with an idea worth pursuing. It has never been easier for your business to go mobile. The reason why your business doesn’t even need an app in order to reach mobile consumers is because you can easily leverage the consumer adoption of apps that are widely used around the world. If you don’t, then you’re missing out on a significant increase in consumer adoption of your product or service because this is exactly how your business can stand out from the rest - without owning an app. But how do you do this exactly? Stay tuned, that’s coming up next! If you’re reading this it’s because you own a product or provide a service to your customers, but you probably don't have a mobile app. What you do have is a business and an audience. Great! 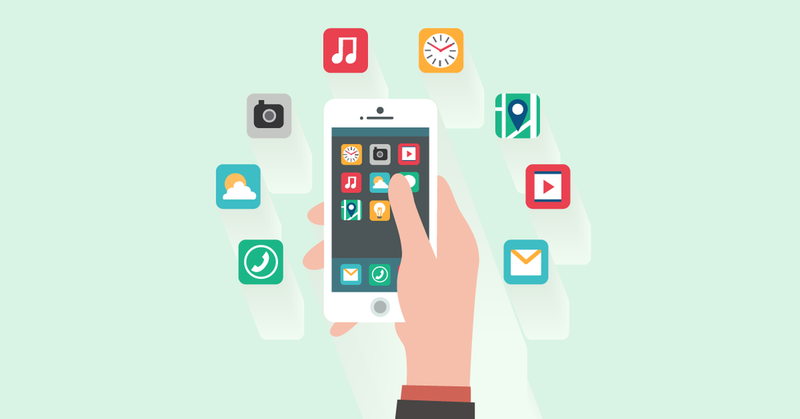 If you’re thinking about creating an app for your business or you have one already, that's cool too. They are not yet used by most businesses for the purposes of marketing, but they have reached worldwide consumer adoption. They immediately unlock a significant potential reach of highly indoctrinated consumers. They are not highly regulated, which means the barrier of entry has never been lower for businesses. This is the easiest and most effective way you can significantly increase consumer adoption of your product or service by mobile users - without owning an app. And you can now do so without reinventing the wheel by using an app called Messages, which comes pre-installed in every smartphone and unlocks a potential reach of 4+ billion people worldwide. Up next, I will share with you how your business can do this starting today. Today, your business can start leveraging the most untapped, underused, and cost-effective channel of communication by small businesses - SMS text messaging. Utilizing this channel for marketing purposes allows your business to leverage consumer adoption and indoctrination of an app loved and used on a daily basis by your ideal customers. In fact, Messages is so commonly used that it comes pre-installed and positioned on the home screen of every smartphone, and it can’t even be deleted. With ReplyBuy you can natively reach your customers where they are spending most of their time and on an app that doesn’t require a new learning curve. But wait, there’s more! 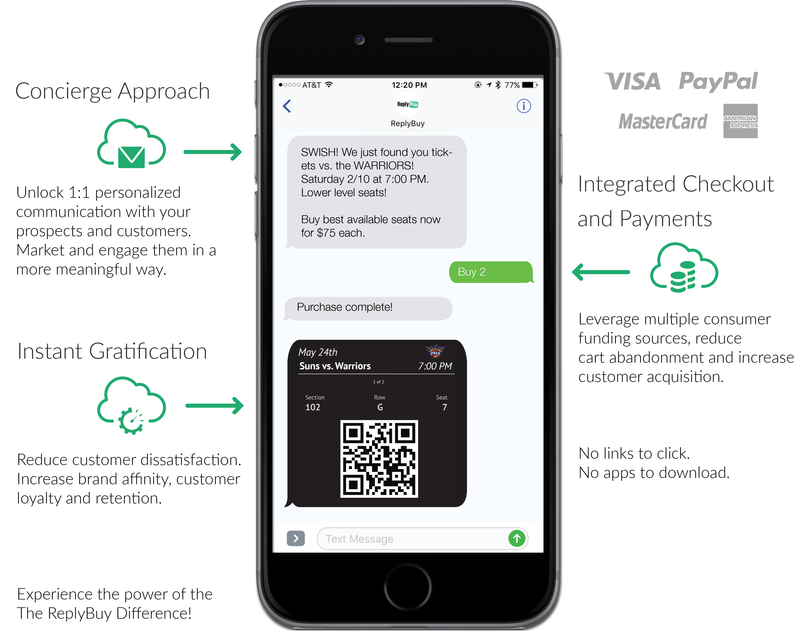 Not only can you natively send marketing campaigns to your customers via Messages with ReplyBuy, you can also collect instant payments with our automated SMS payment processing triggered with a simple text. A short string of text "BUY" collects data from your customer’s personal profile to power repeat purchases within an average of six seconds. Are you ready to turn simple conversations into seamless transactions? No forms to fill out. No links to click. No apps to download. Today ReplyBuy powers purchases for hundreds of businesses and has generated millions of dollars in new revenue. Will ReplyBuy work for your business? Get Started Now. P.S. If you're NOT using SMS text messaging in your business already then you're missing out big time because text messages are the new email. It's never been easier for your business to unlock 4x engagement and conversion rates when compared to email, phone calls, and social. What are you waiting for? Want to get started with ReplyBuy? Yes, I Want To Get Started Now.